Usana PhytoEstrin Review (2018): Is It Really Worth Buying? As per the website, the company distributes its products to the market via direct selling. USANA Health Sciences has been in the business of formulating and distributing a long list of nutritionals or so-called neutraceutical products since 1992. Beyond regularly taking these supplements, the company intends to improve your overall health status and wellness. It also provides the public with entrepreneurial opportunities by marketing its products among their personal networks. Usana PhytoEstrin – Does It Really Work? What are the Ingredients in Usana PhytoEstrin? Does Usana PhytoEstrin Have Any Side Effects? 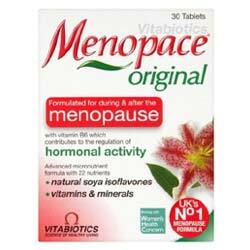 Usana PhytoEstrin, US $28.97 for 90 tablets, is an all botanical based menopause-supplement specially formulated to bring you relief from multiple menopausal symptoms and help you go through this phase with ease and peace of mind. Usana PhytoEstrin — Does It Really Work? Bring you relief from a wide range of discomforting and unpleasant menopausal symptoms that includes mood swings, hot flashes and night sweats. Promote healthier heart, bones and mind. Improve your quality of life during the menopausal phase by giving you a more energetic body and by putting your mind at ease, free from depression and anxiety. Support you in better dealing with your menopausal symptoms so that you can go through this stage with ease and with grace. What Are The Ingredients In Usana PhytoEstrin ? Soy Isoflavones: It contains plant-derived estrogens that help make up for the sudden drop in your estrogen level. Black Cohosh Extract: It is touted to deliver relief from the multiple symptoms and discomforts associated with menopause. Chasteberry Powder: It has been shown to influence your pituitary gland, promoting the normalization of your hormone levels to help relax your mind, give you better moods, as well as give you relief from the pains associated with menopause. Licorice Root Extract: Boosts your immune response, this ingredient helps you better cope with stressful situations and help you keep a cool head. Dong Quai Extract: It balances out your hormone levels to improve painful menopause symptoms. 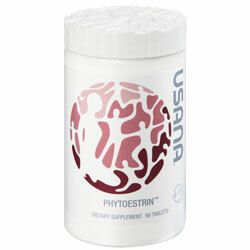 Usana PhytoEstrin is recommended to be taken three times daily on three separate occasions, ideally before meals. Usana PhytoEstrin is manufactured by a company which formulates and distributing nutritional product since 1992. This product is formulated by USANA Health Sciences which has received decent rating from the Better Business Bureau. This product contains soy which may not make it suitable for intake by people who are embracing a gluten-free lifestyle. Usana PhytoEstrin reviews are severely limited and does not allow you to collectively gauge user sentiment about this product’s performance. Based on the ingredients and reviews, the likelihood of experiencing side effects from proper intake of Usana PhytoEstrin is low. However, adverse reactions greatly depend on your body’s response to the supplement as well. Again, those who have a history of allergy with soy should completely avoid this product. It’s easy to be convinced of the promises of Usana PhytoEstrin, most especially since reputable companies are not very easy to find these days. However, as good as this product may sound, it’s not for everyone.